MASVINGO – A bus driver who recklessly overtook two vehicles inside a curve and killed six members of a family in a head-on collision will rue his decision to appeal against his conviction and sentence after a higher court called for an even stiffer sentence against him. 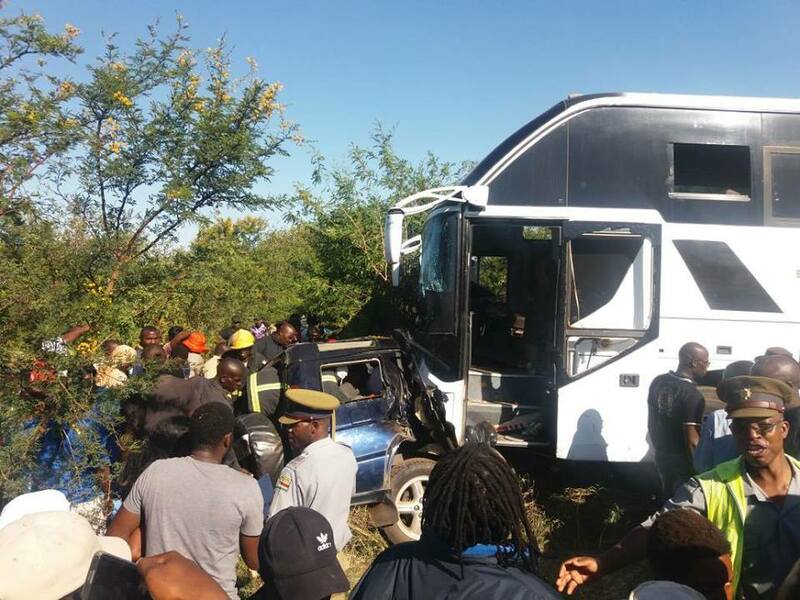 The accident which happened on Sunday 7, 2018 killed members of the Jani extended family from Zvishavane who were on a trip to Great Zimbabwe Monuments. All died on the spot. Masvingo High Court Judge, Justice Mawadze sitting together with Justice Mafusire as a bench lambasted Magistrate Peter Madiba and described his $1 000 fine and wholly suspended six months jail term on Ernest Chifumuro as a travesty of justice. He said Ernest Chifumuro should have been jailed for an effective three years and banned from driving for life. The judges however noted that they could not totally reverse the magistrate’s ruling after Chifumuro and his lawyers failed to turn up for the appeal hearing. They then ordered that in addition to the $1 000 fine handed down by the Magistrate, Chifumiro’s driver’s licence be revoked for two years and that he be banned from driving heavy and public transport vehicles for life as is mandatory in the Traffic Act for anyone found guilty of negligent driving. Justice Mawadze said he would definitely have slapped Chifumiro with a three-year custodial sentence had the appellant come for the appeal hearing. Surprising both Chifumiro and his lawyers from Muchineripi and Associates did not pitch up at the High Court despite making the appeal. Giving the ruling in default Justice Mawadze ordered Chifumuro to go back before Magistrate Madiba within 14 days of the order for the lower court to remedy the omissions or failure to comply with the mandatory provisions of the Road Traffic Act Chapter 13:11 in its ruling. He said that he would definitely have given Chifumuro an effective jail sentence of not less than two years in his review but could not do so without the appellant in court. He said natural justice would require him to hear the accused before taking such drastic action. The Mirror is informed that efforts to find Chifumuro during the 14 days were futile until Police was reigned in to hunt for him. The only special circumstance Chifumuro cited when he finally appeared before Madiba was that he had three wives and 11 children. The Judges also expressed shock at Chifumuro’s lack of remorse. They said instead of accepting the lenient sentence that he got, he even had the ‘temerity’ to ask the High Court to reduce his fine from $1 000 to $400. “The accused even callously suggested that the fine be reduced to $400. His sense of justice is warped to say the least and his lack of contrition is beyond measure,” said Justice Mawadze. The judges were also baffled by the State Prosecutor Edmund Mapope’s failure to appeal against the magistrate’s sentence which totally disregarded the mandatory sentence provided for in Section 64(3) of the Road Traffic Act. The State was represented at the High Court by Mike Tembo. “Apparently State Prosecutor glossed over such grave injustice and simply submitted that the appeal in respect of both conviction and sentence lacked merit,” read the judges’ review. Justice Mawadze who could not understand why an experienced magistrate like Madiba gave such a sentence sent his review order and comments to the Chief Magistrate Mishrod Guvamombe and Munamato Mutevedzi, the acting deputy secretary of the Judicial Service Commission and this led to Madiba’s charging pending a hearing. It is understood that this is not the first time that the High Court has complained against rulings by the same magistrate hence the action.